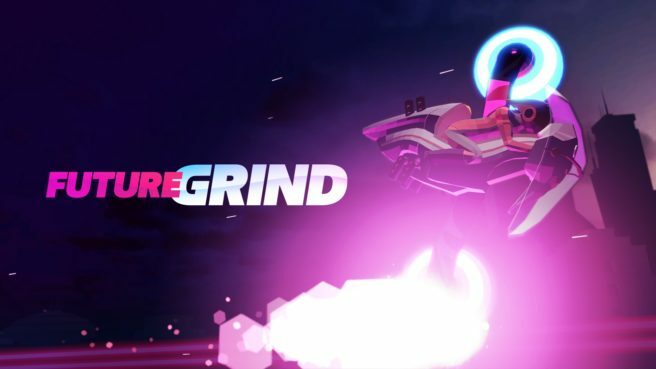 Taking the form of an arcade stunt-racer that’s all about tricks, skill, and speed, jump into a futuristic, two-wheeled bike and rack up huge combos as you hunt for the perfect line, matching your coloured wheels with each track’s fiendish layout of rails. Featuring a story mode with over 30 unique tracks that’ll have you testing the depths of your reflexes, 5 unlockable bikes offering multiple styles of play, and score attack mode, there’s no shortage of ways to show off your style. Compete for the highest score with a deep combo system that rewards creativity and will have you restarting tracks over and over to nail that perfect line. Tying this all together is a thumping original soundtrack full of synths and saw waves by bignic. Want to check out a sampling of the available tracks? Head over to Bandcamp, where pre-orders and a preview of the FutureGrind soundtrack are now available.